Burnaby – You may be able to disregard the rules in the Motor Vehicle Act and survive, but flouting the laws of physics when you drive will eventually result in a collision. I spent a decade dealing with concepts like perception – reaction time, coefficients of friction and maximum acceleration when I did a forensic examination of a collision scene. This gave me some insight into what you can and can’t do as a driver and the need to never put yourself in a position when your vehicle tried to ask more of the laws of physics than they would allow. The driver I watched yesterday either had no consideration for the physics involved in driving, had a very high risk tolerance or both. He was following a larger vehicle travelling 90 km/h with what looked like enough room to comfortably parallel park between them had they been standing still. I’m always happy when these drivers roar off into the distance and are no longer near me. I guess my tolerance of risk is not a high one, particularly when the risk is imposed on me by others. 90 km/h is 25 meters per second. Accepted perception – reaction time in collision reconstruction is 1.5 seconds. That means this driver travels 75 meters between the time something happens and he first applies the brake. No slowing has occurred yet. If the vehicle in front slows suddenly, a crash is inevitable. Not a problem, I’ll just steer out of the way you say. Remember that perception – reaction time? It means that you will just begin to turn the steering wheel after having travelled that 75 meters. Again, a crash is inevitable. The vehicle in front doesn’t have to slow to be a problem either. It may be blocking your view of what is ahead. If the driver waits until the last minute to move out of the way of a hazard, we’re back to that 37 meters or 1.5 seconds again. Are you feeling like a crash test dummy yet? The laws of physics are not forgiving. 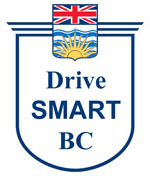 Be the first to comment on "EDITORIAL – DriveSmart BC – Disobeying The Laws of Physics"